Well, ONE GOOD DEED readers and followers, I think we know what’s going on here, don’t we! 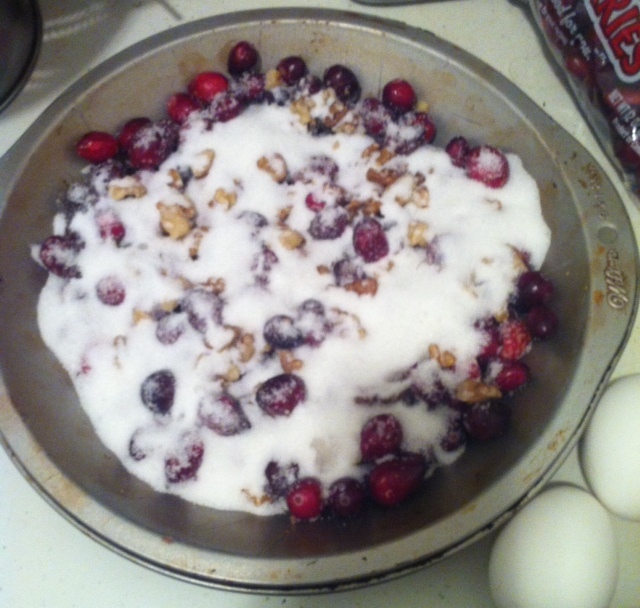 (And for all of you who have never known the delightment of the Cranberry Surprise Pie, see the November 28, 2010 post of this blog). Adding a little Christmas music in the background didn’t hurt, either. This entry was posted in Uncategorized and tagged cranberry, Cranberry Surprise Pie, holiday cooking, One Good Deed. Bookmark the permalink.